Come check out this wonderful opportunity to network! Lane Community College Downtown Campus is welcoming Latino Professionals Connect for our March‘s event! Paul Jarrell, Vice President of Academic and Student Affairs as well as Rosa Maria Banuelous- Uribe, Admissions Recruitment Coordinator will be joining us and available to answer questions. Joel Iboa from Causa Oregon will be giving a presentation on the new bill presented to the legislature, Drivers Licenses for All. Light food and non – alcoholic beverages will be provided. You won’t want to miss it! 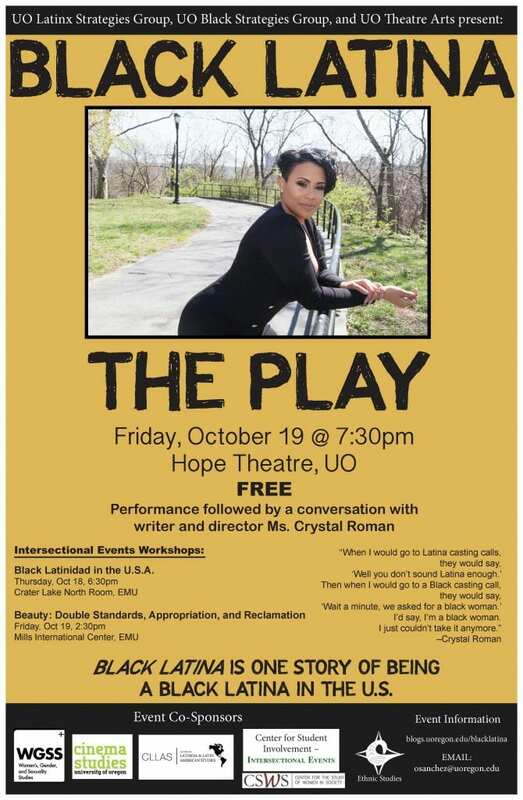 BE Series: Olmeca Concert a success! 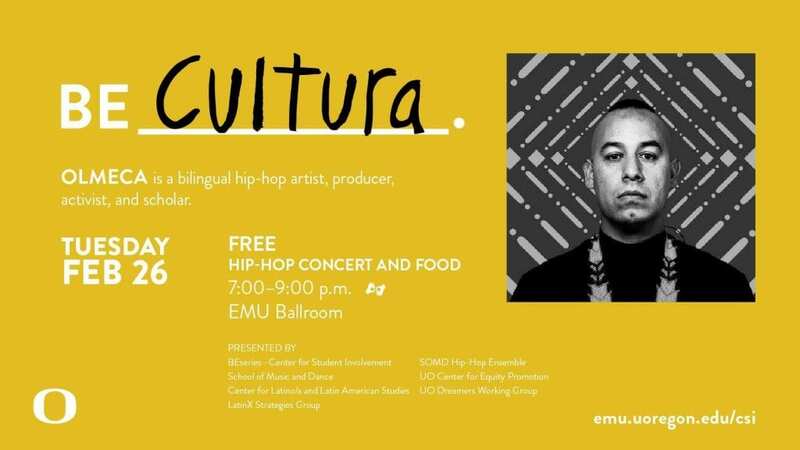 LSG helped sponsor the BE CULTURA concert by visiting artist OLMECA. Both the artist and the audience made it a success despite the craziness of the winter weather that closed the university on the day before! To check out the full concert, click here! Juan Diego Ramirez put together a short video of Olmeca’s visit. Check it out here! Thanks to the BE series for putting this together and we were so glad to be able to support this visit. Every year in Oregon, Dreamer students transition from high school to college to continue their education. Undocumented students, including Tuition Equity and DACA (Deferred Action for Childhood Arrivals), do not qualify for Federal Financial Aid. They are also ineligible for many other forms of financial aid that students typically use to fund their education. It is very common for them to take a term off every year to work and raise money for tuition. 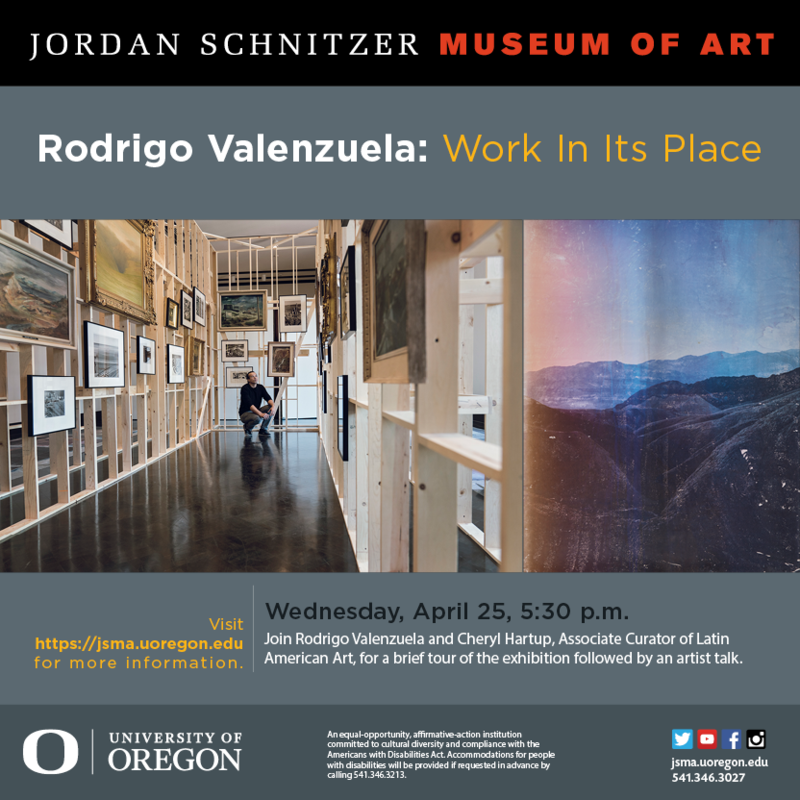 Support our UO Dreamer Students! Our Dreamers are hardworking, bright, determined Ducks! They are just like every other Duck. They have goals of owning their own businesses, working in our communities, and supporting their families. We believe nothing should stand in their way of a college degree. 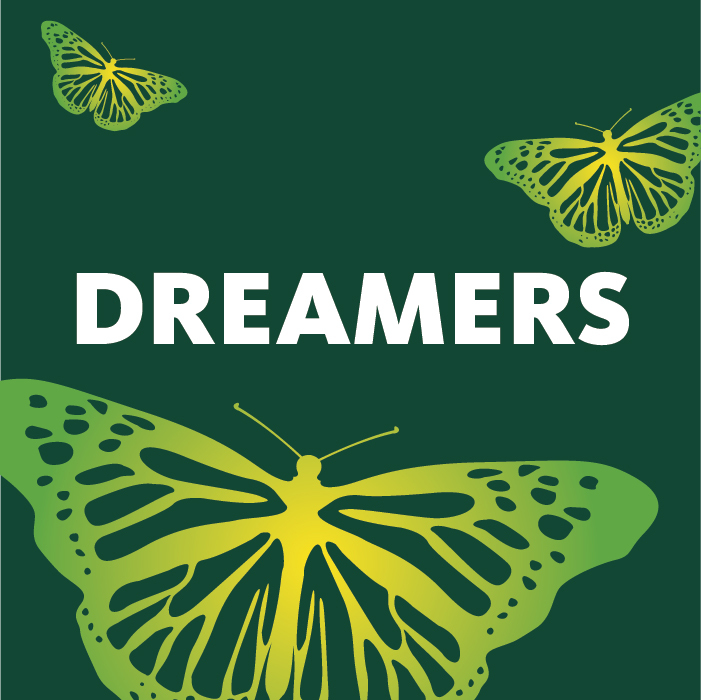 And Though our Dreamer students face many stressors, we can help them graduate! This scholarship aims to provide some financial relief, allowing them to complete their degrees and fulfill their goal of becoming a Duck Alumni on graduation day! 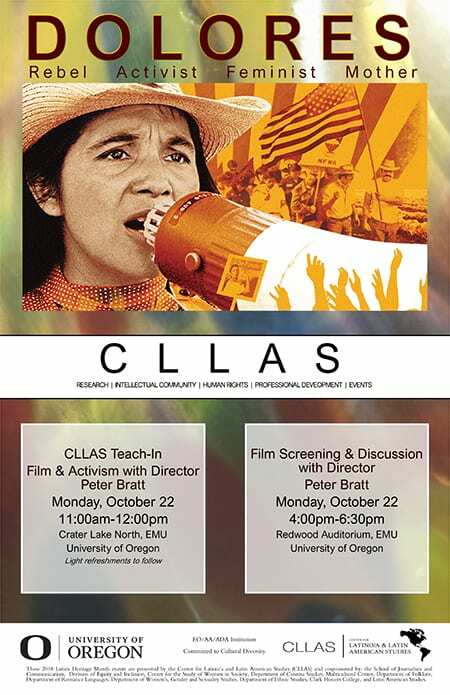 Please join the Center for Latino/a and Latin American Studies for the 2018 CLLAS Latinx Heritage Month events On October 22! Dolores Huerta is among the most important, yet least known, activists in American history. An equal partner in co-founding the first farm workers unions with Cesar Chavez, her enormous contributions have gone largely unrecognized. Dolores tirelessly led the fight for racial and labor justice alongside Chavez, becoming one of the most defiant feminists of the twentieth century—and she continues the fight to this day, at 87. With intimate and unprecedented access to this intensely private mother to eleven, the film reveals the raw, personal stakes involved in committing one’s life to social change. Event cosponsors: School of Journalism and Communication, Division of Equity and Inclusion, College of Arts and Sciences, Center for the Study of Women in Society, Department of Cinema Studies, Multicultural Center, Department of Folklore, Department of Romance Languages, Department of Women’s, Gender and Sexuality Studies, Department of Ethnic Studies, Clark Honors College, Latin American Studies. Have you heard? La Ofrenda is here! 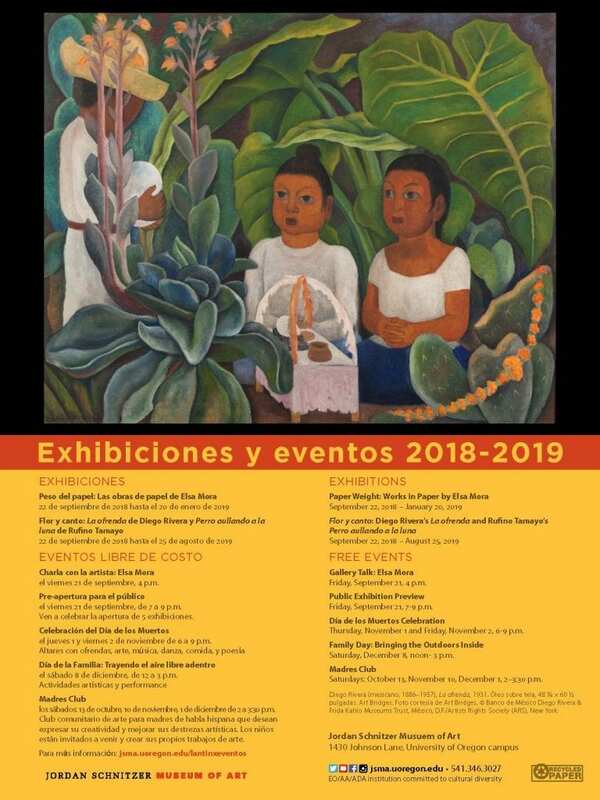 Stop by and join in the multiple events associated with its visit. 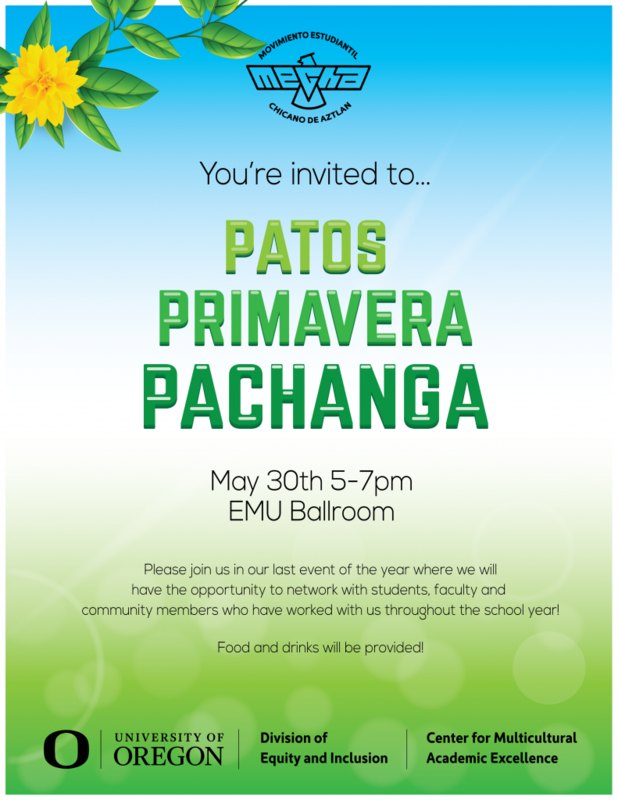 Mark your calendars for the Patos Primavera Pachanga!